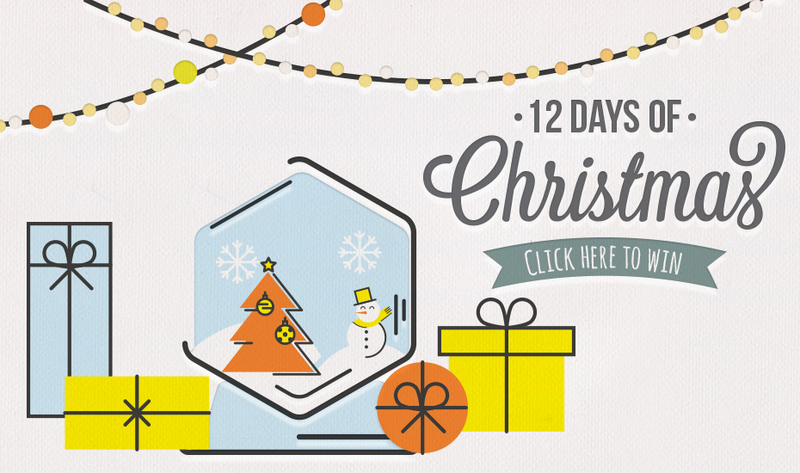 Have yourselves a fantastic Christmas with 12 amazing giveaways happening through the month of December! It’s no secret that the Honeycombers HQ is big on year-end celebrations, and we’re rounding off 2016 with a bang! From 1 to 12 December, we are dusting off our Santa hats by dishing out an irresistible pool of prizes daily – five-star dinner parties, cool staycations, shopping vouchers and a trip for two to Ho Chi Minh are just some exciting highlights. 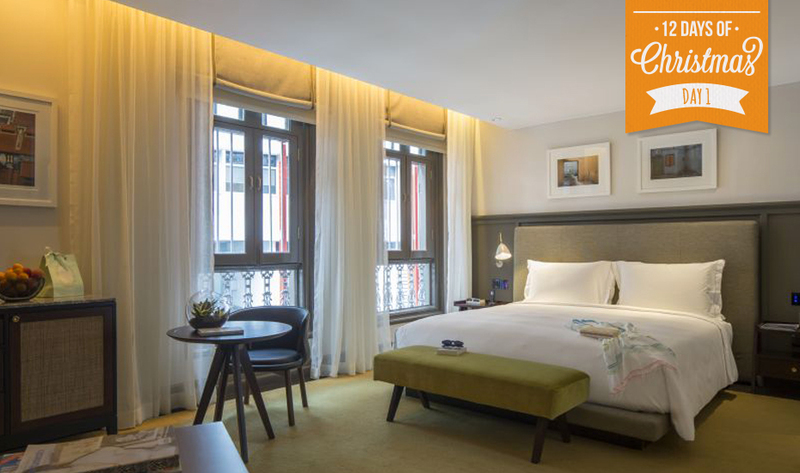 Treat your loved ones to a fancy feast in the heart of the CBD at The Club, a swish boutique hotel housed in a 19th century colonial building along Ann Siang Road. One lucky reader will be walking away with a one-night stay for two at the Club Room worth $240 ++ and a gastronomic meal for two worth $85 ++ per person at Peruvian rooftop bar Tiger’s Milk. And if that’s not enough, pop on over to The Disgruntled Brasserie, where you can also enjoy a Christmas set lunch at just $28++ for 2 courses and $32++ for 3 courses! Fashionistas, this one’s for you. 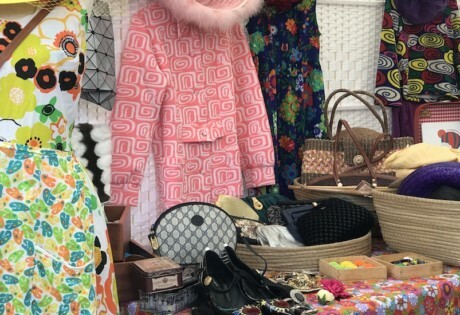 Update your wardrobe with the latest high street styles from TheWYLDshop, Singapore based fashion boutique stocking High Street Fashion Brands from Australia site! They’re giving away a $500 voucher, valid on regular-priced items only. This breezy site stocks fashion brands like LeSpecs, MinkPink, Evil Twin and other too-cool-for-school Aussie labels – snap up these threads at a 20% off from 12 to 26 December on a minimum spend of $80 with the code: JINGLES. 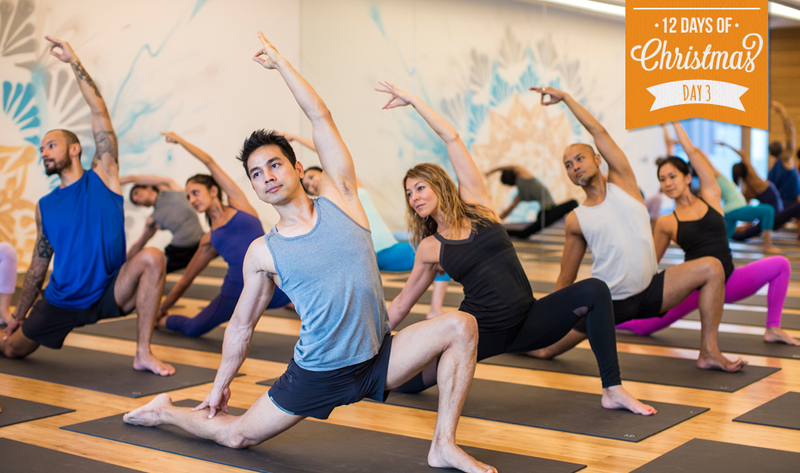 Start the new year on a health kick with a complimentary six-month Pure Yoga and Pure Fitness membership that gives you access to four yoga studios and two gyms in Singapore! Psst…look out for the new Pure Fitness outlet opening at Ocean Financial Centre this month or check out their Power Pack packages, comprising a one-month Pure Yoga and Pure Fitness membership, $35 food voucher, 20% off Pure Apparel and two guest passes. On top of a six-month membership with Pure Fitness and Pure Yoga, we’re also giving away four (yes, four!) of these Power Pack packages! More information here. 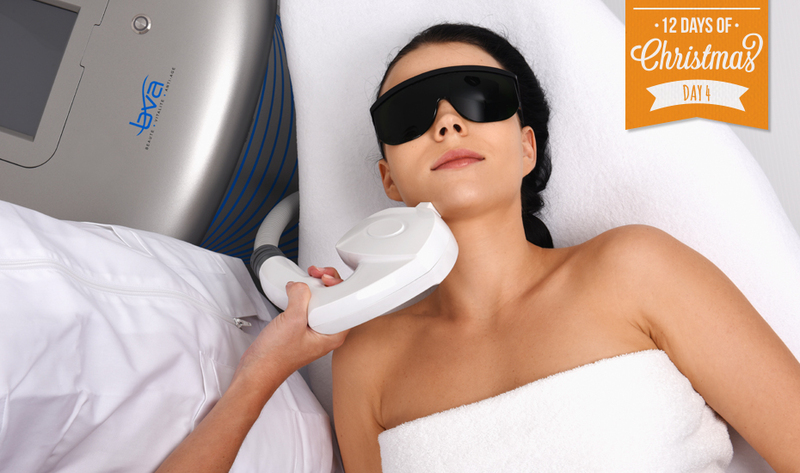 Pamper yourself with a ‘lil TLC at EstheClinic, a beauty specialist offering permanent hair removal, anti-aging, body treatments and other non-invasive aesthetics services using only clinically-proven techniques. They are giving away a $500 voucher that can be redeemed on any products or services at all three branches! From now ‘til 31 December, get 50% off any body treatments, so you can look your best for the start of the new year. Terms and conditions: Applicable on all EstheClinic product and services. The voucher is valid for six months. Doing some house flippin’ before the year-end festivities begin? Then cast your name in the draw to win a $1,000 voucher from home accessories store Ruby Slipper! 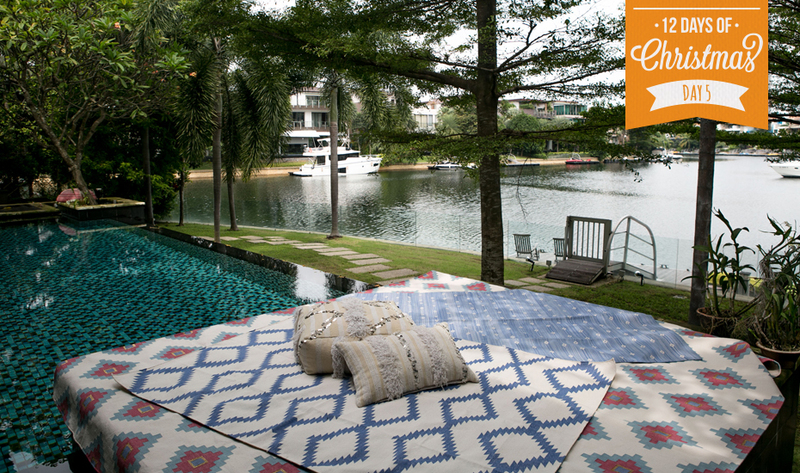 Here, you’ll find gorgeous bespoke rugs and other knick-knacks sourced from countries like India and Morocco – look out for their stylish Moroccan rugs available in a variety of colours and designs. 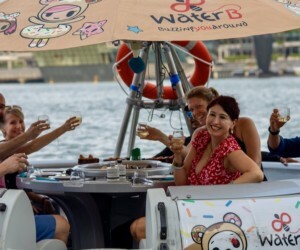 Tuck into a boozy Christmas feast with your special someone right at the top of Marina Bay Sands! 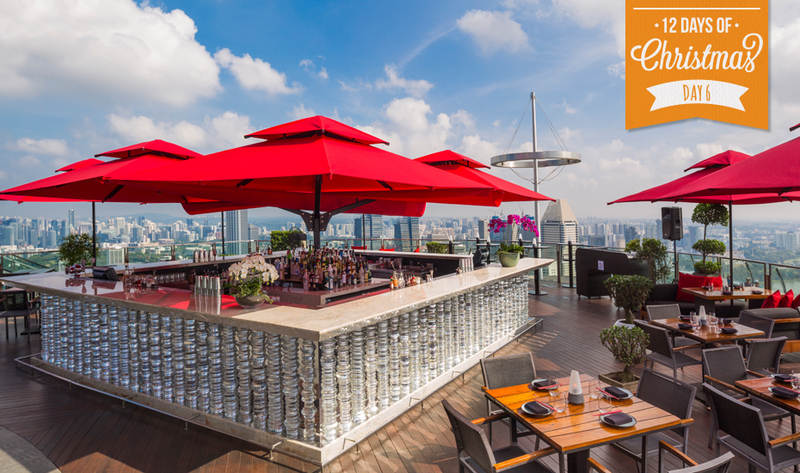 The iconic rooftop restaurant is giving away a Champagne Christmas brunch for two (worth $188++ each). From noon to 3pm on 25 December, look forward to a decadent spread comprising an appetizer, dessert options, and a mouthwatering array of main courses to choose from, along with free-flow Champagne to wash it all down. Usher in 2017 on a glitzy note at Ritz-Carlton Millenia Singapore. The luxury hotel is hosting its inaugural New Year’s Eve countdown dinner party – snag a pair of tickets worth over $900 to Super Night, which has highlights such as a fancy eight-course meal comprising yummy nosh like fresh Japanese sea urchin, charcoal-grilled wagyu tenderloin and free-flow Champagne! 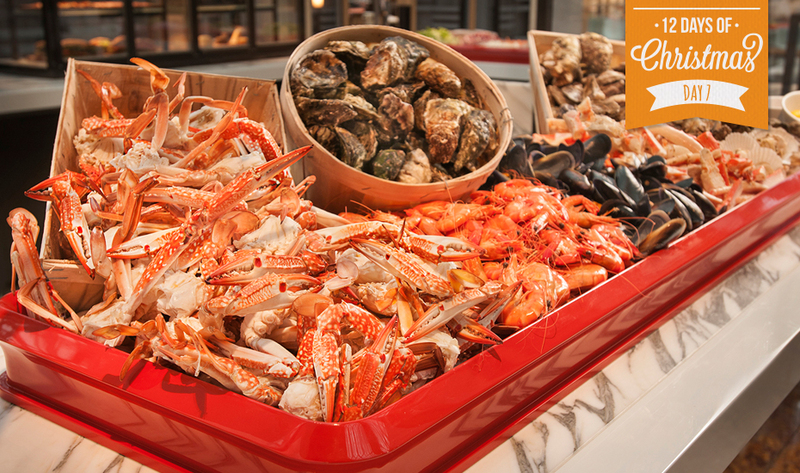 A mouthwatering spread, an amazing fireworks display over Marina Bay and live tunes, what are you waiting for? Terms and conditions: Tickets are only valid for Super Night on 31 December, and is non-transferable nor redeemable for cash. Please call Restaurant Reservations at 6434 5288 to make your booking at least 3 working days in advance and quote the gift certificate number. Tickets should be presented upon arrival for Super Night. Escape the hustle and bustle of the city by hopping on a ferry to Batam with three of your closest mates for a 3 Days 2 Nights Getaway Package at the luxurious Montigo Resorts, Nongsa! 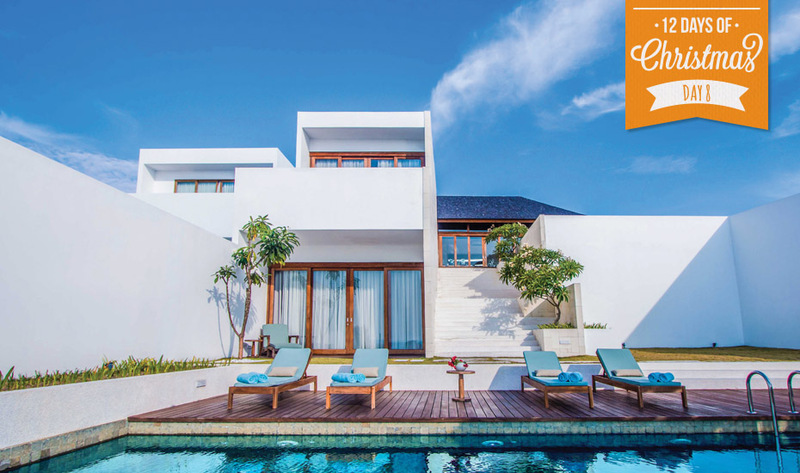 One lucky reader will get to spend two glorious nights at the Deluxe Hill Top Pool Villa (inclusive breakfast), a dinner-in-villa BBQ (one night only), a dinner by the beach (one night only), a lunch at Tadd’s (two time redemption), one time hi-tea, an ultra-pampering spa sesh, a 20-minute banana boat ride –even ferry tickets are included! Terms and conditions apply. This all-encompassing package (worth $2752) will only be available on weekdays and valid for 6 months. Who doesn’t love a wallet-friendly vacay? VietJet, Vietnam’s first new-age, low-cost airline, is offering the motherlode of all freebies for our 12-day giveaway. Gather your best travel buddy and get ready to plan your next holiday to Chi Minh City – they are giving away a pair of return SkyBoss tickets worth $1,200! SkyBoss passengers get to enjoy a bevy of premium benefits such as priority check in, complimentary 30kg baggage allowance, priority seat selection, airport lounge access and more! If you’ve missed out on snagging this prize, the airline will be giving away a whopping 1.5 million $0 base fare tickets from 11 December 2016 and five million $0 base fare tickets from 28 December 2016 to 28 February 2017 (1pm to 3pm). We’ve also gotten word that passengers who fly out before 20 December will receive two free tickets to Sky Connection Festival for their 5th Year Anniversary! If you’re booking and flying before 20 December 2016, you might stand to catch Michael Learns To Rock and Wonder Girls live! If non-stop partying this year-end has got you craving for some serious shut-eye, then look no further than European Bedding. This quality sleep specialist offers natural organic latex mattresses, pillows and bed bases from a wide range of European brands. Plus, they are giving an additional discount of 25% off on their Back Care mattresses. 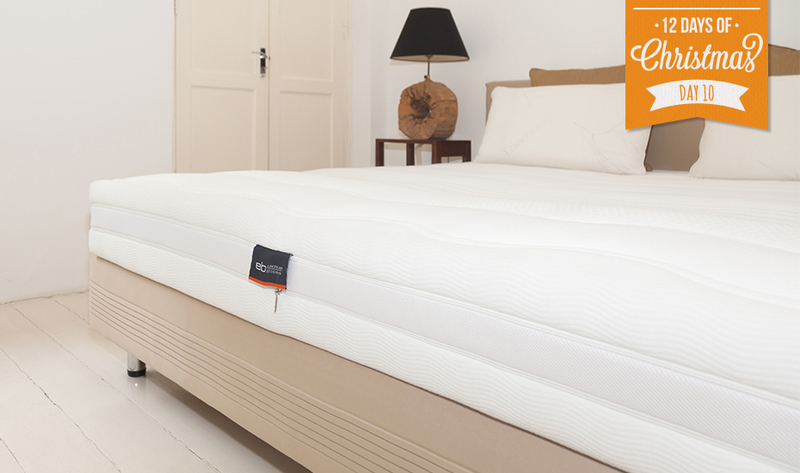 Get your hands on a 100% latex queen-size mattress from their Back Care collection worth $4,080 now! For more deets, check out their Facebook or Instagram. Terms & conditions: Only applicable to medium or firm density mattresses in the Back Care range only. Winners can opt for an EU single size or EU king size at an extra cost. Selection and delivery of mattress to be done within a 30-day period. It’s tropical weather all year round in our sunny isle, so why not dress the part? 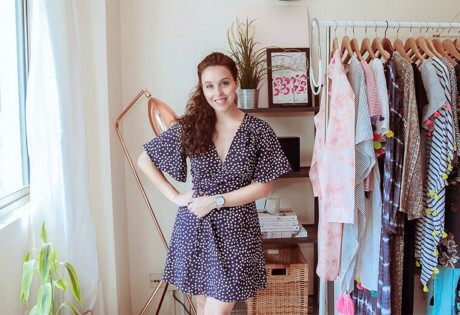 White Ginger is a Singapore based fashion line that does resort wear right – think flattering silhouettes using colourful fabrics that’ll keep you comfy and looking your best, no matter how hot it gets! They’re giving away two vouchers (worth $500 each) for you to enjoy a shopping spree online or at their Tanglin Mall boutique. Flaunt those striking Sony’s h.ear on MDR-100AAP headphones while grooving to your favourite tunes in premium high-resolution audio, thanks to the folks behind Sony’s acoustic engineering technologies! 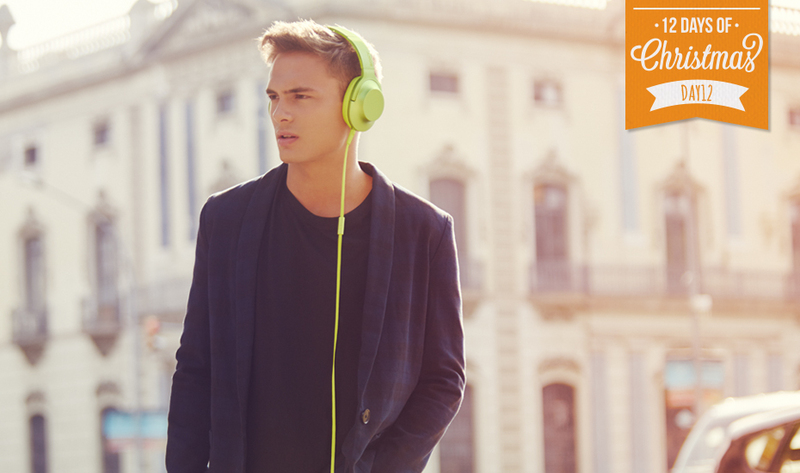 They are giving away two of their h.ear on headphones in eye-catching lime yellow to two lucky readers (worth up to $250 each). Here’s your chance to sample Sony’s unmatched crystal clear sound – their compact friendly design and tangle free cable makes it really travel friendly too! 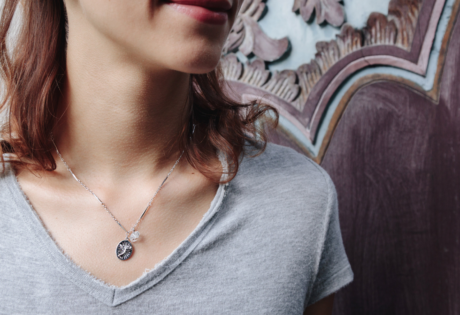 And…that’s just the tip of our Christmas gift list! Stay tuned for more giveaway updates from now ’til 12 December, or risk missing out on these fabulous prizes! This competition is open to all Singaporeans, Singaporean PR holders and those residing in Singapore. Staff and immediate family members of HoneyKids and Honeycombers are not eligible. Twelve prizes will simultaneously be up for grabs from 1 December 2016 to 12 December 2016. To enter the giveaway draw, readers must take the following three steps: 1. ‘Like’ the Honeycombers Singapore Facebook page; 2. Find the Facebook post relevant to the prize they’d like to win and leave a comment on why they’d love to win that prize; and 3. ‘Like’ the Facebook page of the participating brand or company of the prize they’d like to win. There is no limit to the amount of giveaways readers can enter. The competition ends at midnight on 12 December 2016. All winners will be announced on the Honeycombers Singapore Facebook page on 15 December 2016 via a comment on the relevant giveaway post. Winners have until midnight on 18 December 2016 to acknowledge receipt of their winning notification. If the winner does not make contact with Honeycombers Singapore by this time, a new winner will be re-drawn on 19 December, and that winner will have until midnight on 20 December to acknowledge receipt of the winning notification. Do take note that by entering the competition, you will become a Honeycombers Singapore subscriber and your details may be shared with the prize host.